The Code Book on CD-ROM, by author Simon Singh and designer Nick Mee, is the interactive version of the best-selling book of the same title. Singh has already shown in The Code Book and Fermat's Last Theorem that he is an excellent communicator, able to explain complex ideas without using obscure jargon. But while the main achievement of The Code Book is to make codes and ciphers intelligible to everybody, the CD goes further and allows you to become a code builder and code breaker yourself. You will find yourself first turning into a code builder, fearful of being cracked, and then into a dedicated code breaker, following tips on how to crack the ciphers. George Szpiro has a most unusual day job for someone writing about the abstract world of pure mathematics. Although he first studied maths at university, he has been a political journalist now for a number of years, working as Israel correspondent for NZZ, a Swiss daily. He wrote this book at night, after the paper's deadline, and as it was being finished lost one of his closest friends in a suicide bombing. The contrast between sphere packings in three dimensions and his daytime subject material must often have struck him. Geometric dissection is the mathematical art of cutting figures into pieces that can be rearranged to form other figures, preferably using as few pieces as possible. You may already have come across puzzles such as the Aviary Tangram, the pieces of which can be used to form an egg, a chicken and many other shapes; but the ingenuity of the dissections shown here may still be a revelation to you, as they were to this reviewer. Many people, when they look back, can pinpoint the precise moment when their interest in mathematics was awakened - it was when they found a puzzle that intrigued them. Perhaps they now realise the puzzle was trivial or insignificant, but at the time something about it captured their imagination and started them on a path that may have led very far - perhaps even into fundamental mathematical research. The Four Colour Theorem - the statement that four colours suffice to fill in any map so that neighbouring countries are always coloured differently - has had a long and controversial history. It was first conjectured 150 years ago, and finally (and infamously) proved in 1976 with much of the work done by a computer. The published proof relied on checking 1432 special cases, which took more than 1,000 hours of computer time. 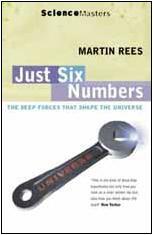 Not many books about maths have chapters that start "The dead man seemed to stare at me in a most disconcerting way." 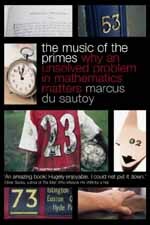 But maybe more should - this book is a highly entertaining read, crossing sound mathematical exposition with the classic Sherlock Holmes style of investigation.